The Helena Area Community Foundation (HACF) inspires people to make a difference by encouraging the spirit of giving to provide resources that benefit present and future generations in our communities. Who we are: We are an organization that is collaborative, visionary, and displays integrity in our community-based work. 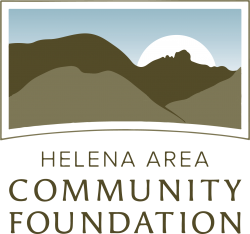 The Helena Area Community Foundation was created by current and former residents of the Helena area to support the projects of nonprofit organizations in Helena and surrounding area communities through annual grant-making. This is accomplished through private contributions, planned gifts, and grants, which help maintain our permanent endowment and help facilitate the operation of our organization. What we do: Maintain a strong, permanent endowment for our community’s future. In addition to awarding grants for community projects, HACF supports nonprofits’ fundraising efforts through hosting Greater Helena Gives, a 24-hour online fundraiser to support the nonprofits around Helena. HACF’s vision is to pool community resources and direct them to projects that create a big impact. This way, small nonprofits can spend the time on their mission and not on fundraising. Large nonprofits can see their ideas expand and prosper. We are community-based, strive for sustainability, visionary for Helena’s future, and collaborative. What makes Helena Area Community Foundation a great place to work? Every day you get to feel like you are improving where you live.